Make the workday revolve around you. Work doesn’t always adapt to you. So we designed an HP EliteBook that does. It’s an ultra-thin notebook that revolves to become a tablet in an instant. Notebook meets tablet. Choose accordingly. Get a sleek, thin, and light notebook with a screen that revolves to let you share your best work. Or swivel and fold the touch-enabled display and go ultra-mobile as a tablet. One device gives you the power to tackle the workday, your way. Touch. Type. Write. It’s all you. 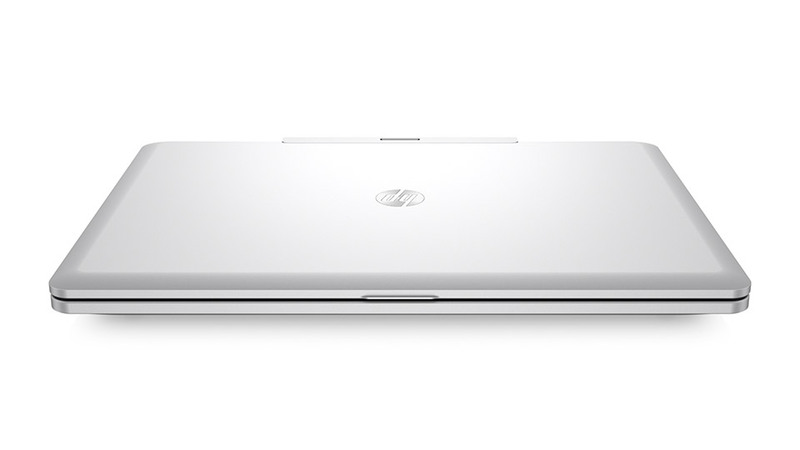 The HP EliteBook Revolve is optimized for Windows 8®, giving you the intuitive touch experience you expect. And with an optional keyboard or pen,1 you have the tools you need to get the job done. Work without worrying about recharging with long battery life1. 1 Battery life will vary depending on the product model, configuration, loaded applications, features, use, wireless functionality and power management settings. The maximum capacity of the battery will naturally decrease with time and usage. See MobileMark12 battery benchmark www.bapco.com/products/mobilemark2012 for additional details. Loaded with tools for mobile work. Or play. Get a 720p HD1 camera for video conferencing,2 and share a product or project in sharp detail. Speak and be heard clearly with dual array microphones and the richness of DTS Studio Sound. And automatically enhance photographed documents or images with HP Page Lift3. 1 HD content required to view HD images. 3 Requires Windows Microsoft 8. Be your own wireless internet hotspot, or print from virtually anywhere1,2 with ePrint technology. With the HP EliteBook Revolve, there are no wires holding you back. 1 Requires broadband module. Broadband use requires separately purchased service contract. Check with service provider for coverage and availability in your area. 2 Requires an Internet connection to HP web-enabled printer. Printer requires HP ePrint account registration. Mobile device requires Internet connection. May require wireless access point. Separately purchased data plans or usage fees may apply. Driver update may be required. For more details, visit www.hp.com/go/eprintsoftware.com. Keep working or playing even in dimly lit rooms or on red eye flights. It’s a full-size keyboard that doesn’t compromise comfort. With the ports you’d expect on a high-performance notebook, the HP EliteBook Revolve never lets you down. Connect to displays,1 projectors,1 and accessories through USB 3.0, and DisplayPort. Get simple, wireless transactions, data sharing, log in, and more with NFC2. 2 NFC software is not included and is sold separately. Internet access required. The HP EliteBook Revolve moves the way you do, adjusting the screen orientation, brightness, and more based on the way you’re working. Keep up with the speed of business. Choose from Windows 7 Pro or Windows 8 Pro for a familiar PC experience with the intuitive experience of touch. All driven by the latest Intel® processors. Choose from solid-state drive options up to 256 GB, and be ready in as fast as 5 milliseconds1 with Intel® Rapid Start Technology2. 1 Based on PCMark testing. Depending on system configuration, your results may vary. 2 Requires a compatible Intel® Core processor, Intel® Rapid Start software and BIOS update, and optional 180 MB Solid State Drive (SSD) or mSATA flash cache module. Depending on system configuration, results may vary. Thin, light, and powerful. For a non-stop workday. With an 11.6-inch diagonal HD1 display packed into a 3.0 lb., 22.2 mm design2 at its thinnest point, you enjoy mobile freedom without sacrificing performance. Carry less. Do more. 2 Weight may vary based on configuration. The total z-dimension is estimated to be 22.4 mm, which is the thinnest point on this product. We chose premium materials like scratch-resistant Corning® Gorilla Glass® 2 and an all-magnesium chassis for a reason. So you can focus on work with a notebook that goes the distance. Computing you can count on. The business-rugged HP EliteBook Revolve is designed to withstand military 810G testing1. On top of that, add another 115,000 hours of our own testing and end-to-end diagnostics, and you get confidence built right in. 1 Testing was not intended to demonstrate fitness for Department of Defense contracts requirements or for military use. Test results are not a guarantee of future performance under these test conditions. Deploy, manage, and secure with ease. Ditch the stress. Get a familiar enterprise-class setup experience, plus services and protection that take the headache away from IT. HP Global Series and HP Custom Integration Services make it easy to deploy the HP EliteBook Revolve across a worldwide enterprise. You’re protected at every layer with HP Client Security. HP BIOS Protection and Microsoft Defender1 on Microsoft Windows 8 platforms and Microsoft Security Essentials with Microsoft Windows 7 platforms help keep you up and running with enhanced defense against virus attacks and other threats. An embedded certified TPM security chip is also included for data encryption. And innovations such as HP ProtectTools Face Recognition1 protect your identity by making sure you really are you. 1 Opt-in and Internet connection required for updates. 2 Requires Microsoft Windows and webcam. Manage a fleet easily with Active Directory, domain join, and PXE boot support, along with HP Client Management Solutions. It’s one less thing to worry about for IT. Dock up. Get down to business. With enterprise-class docking capabilities included, easily connect to a display,1 keyboard,1 mouse,1 additional ports, or printer1 when parked at the office. Save time. Save money. Get back to business. Keep sensitive data and devices in-house, and save both time and money. Maintenance is easy—no special tools required. Protect your investment with an optional three-year limited warranty, and know you made a wise choice. © Copyright 2012. Hewlett-Packard Development Company, L.P. The information contained herein is subject to change without notice. The only warranties for HP products and services are set forth in the express warranty statements accompanying such products and services. Nothing herein should be construed as constituting an additional warranty. HP shall not be liable for technical or editorial errors or omissions contained herein. 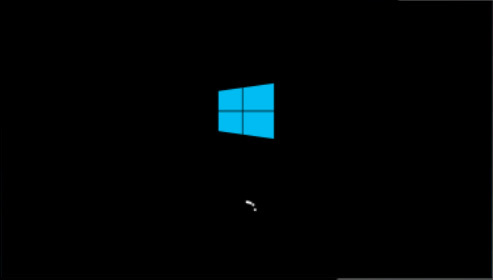 Microsoft, Windows, and the Windows logo are U.S. registered trademarks of Microsoft Corporation. Intel and the Intel logo are trademarks or registered trademarks of Intel Corporation or its subsidiaries in the United States and other countries.